St. Clare B. Smith, Jr.
On Sunday, January 20, 2019, St. Clare B. “Bud” Smith, Jr. 93, husband, father and grandfather passed away at the age of 93. St. Clare was born December 19, 1925 in Inman, SC and was the son of the late St. Clare B. Smith, Sr. and Esty Arrowood Smith. 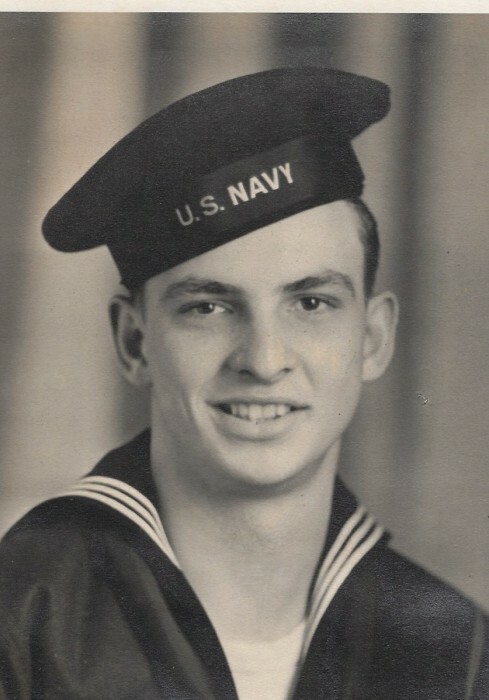 Prior to graduating from Clemson University in 1951, he is remembered as a WWII veteran of the US Navy serving in the South Pacific from 1943-1946. Married to the late Louise Morgan Smith, he was a member of Holy Trinity Lutheran Church in Troutman, NC. He is survived by three children, Chuck Smith, Susan Harwell (Ronnie), Jeff Smith (Sandy); four grandchildren and two great grandchildren. In addition to his wife and parents, he was preceded in death by two sisters, Inell Smith Littlejohn and Helen Smith High. Funeral services will be 2:00 p.m. Saturday, January 26, 2019 at Holy Trinity Lutheran Church with Rev. Dieter W. Punt officiating. The family will visit with friends on Saturday from 12:30-1:45 p.m. before the service. Burial will follow in St. Luke’s Lutheran Church in Mt. Ulla, NC with full military honors provided by the Iredell County Veterans Burial Detail. Troutman Funeral Home is serving the family of St. Clare Smith, Jr.